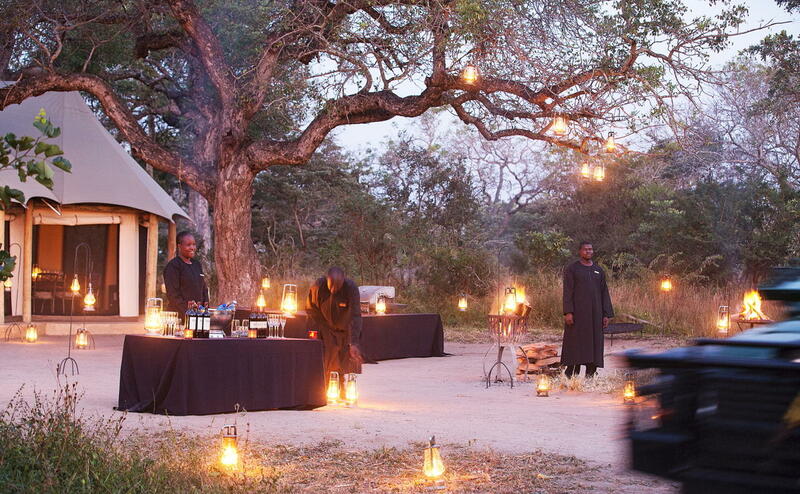 The Royal Malewane is set deep in the Thorny Bush Game Reserve, adjacent to the world famous Kruger National Park. The location of this exclusive, private getaway is ideal for the traveller who seeks luxury accommodation while experiencing the true Africa. Navigate the thick wooded section of the park to meet the rhinos, Cape buffalo and the rest of the Big Five. 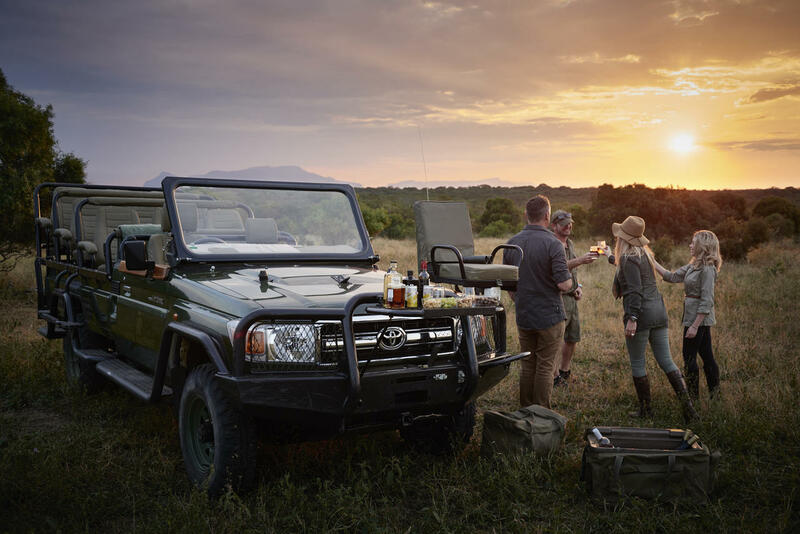 Accompanying the unmatched game viewing, Royal Malewane is set in a region that has spectacular scenery – resting alongside open plains of red soil that reflect the beautiful cherry-pink sunsets. 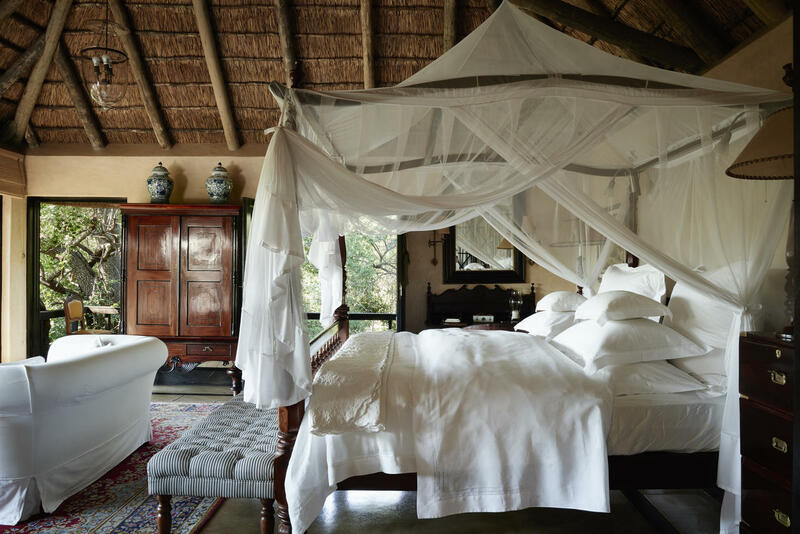 There is something fundamentally romantic about this lodge – especially the intimate Royal Suite – ideal for a couple’s getaway or a honeymoon safari and certainly fit for a king! While the lodge keeps the guest numbers small to ensure privacy – the Royal Suite can accommodate up to four people in two en-suite bedrooms. 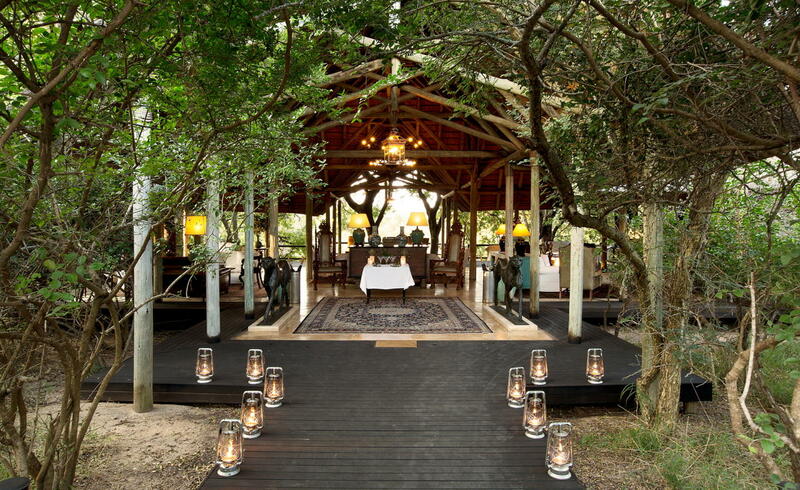 Perfect for two couples or a family vacation, the Royal Suite includes the services of a private chef and butler, private game drives, and four daily massages for the guests. Relax on a colonial style four-poster bed, in front of a lit fireplace at night, in one of the impeccable freestanding bathtubs in an opulent limestone bathroom or on the deck overlooking your private infinity pool. The huge windows ensure panoramic views of the horizon – and perhaps even the giraffes drinking at the lodge’s own private waterhole. 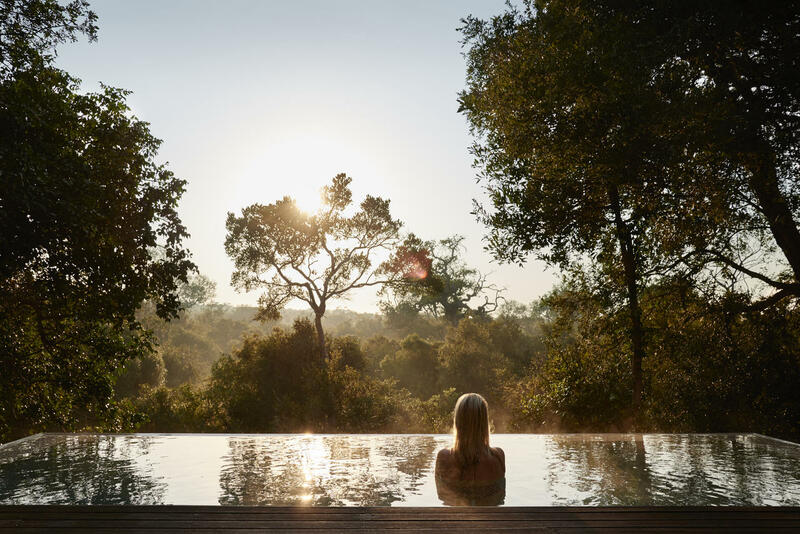 You can be on a 24-hour safari from the comfort of your own suite, wooden terrace or elevated walkway. The Royal Suite is adorned with authentic and opulent décor that transports guests to a time of old world elegance and classic bush style. The Royal Suite is the epitome of luxury accommodation, providing a sanctuary for the senses with both indoor and outdoor luxury. 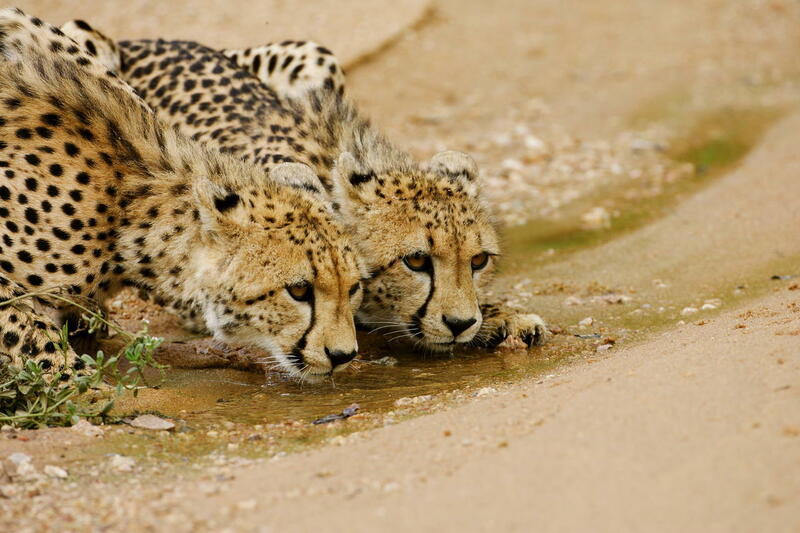 Make the most of the surrounding wild beauty and bask in Africa’s warm sun in complete privacy. Stay in the Royal Malewane’s Royal Suite for an unforgettable experience. Stimulate your senses with an amazing outdoor shower or unwind in a Victorian bath with indigenous oils inspired by African rituals. The palatial suite is fully air-conditioned, equipped with a mini-bar, antique furniture and unrestricted access to Africa’s Kodak scenery. Fore more on this Royal Portfolio masterpiece click here.